Indian Gum Industries Ltd. vs. JCIT & Anr. M. S. Sanklecha & Sandeep K. Shinde, JJ. This Appeal under Section 260A of the Income Tax Act, 1961 (the Act) challenges the order dated 27.09.2007 passed by the Income Tax Appellate Tribunal (the Tribunal). “1. Whether on the facts and in the circumstances of the case, was the Tribunal right in law in taking the view that the assessee is entitled to claim deduction u/s. 80IA on the total income after excluding profits (“deduction”) derived from export business of the two new industrial undertakings where 80HHC claim is allowed? 2. Whether on the facts and in the circumstances of the case, was the Tribunal right in law in applying the provisions of Section 80IA(9A) for assessment years 1997-98 and 1998-99?” This Appeal relates to the Assessment Year 1997-1998. The Appellant Assessee is engaged in the manufacture of industrial gums. It has factories situated at Mumbai, Jodhpur and Ahmedabad. In Ahmedabad, it has four factories, out of which two factories are new factories. The issue is this appeal is restricted to only the claim for deduction in respect of its two new factories at Ahmadabad. It is the two new factories whose claim for deduction under Section 80IA of the Act along with the claim for deduction under Section 80HHC of the Act is the subject of this dispute. For the previous year relevant to the subject Assessment year, the Appellant in its return of income claimed 100% deduction in respect of profits earned by the two new factories derived from its exports under Section 80HHC of the Act. Besides, the Appellant also claimed the benefits of deduction under the Section 80IA of the Act to the extent of 30% of the profits and gains derived from its two new factories at Ahmedabad. The aggregate of deductions claimed was less than its Gross Total Income as defined under Section 80B(5) of the Act. The Appellant in its return of income claimed benefits of Section 80HHC of the Act to the extent of its earning from exports. Thereafter it claimed deduction at 30% of its profits and gains under Section 80IA of the Act. This 30% deduction under Section 80IA of the Act was computed without deducting / excluding the deduction allowed under Section 80HHC of the Act on profits derived from exports by the two new units. However, the Assessing Officer did not accept the same, as he was of the view that the Appellant would be entitled to deduction under Section 80IA of the Act only on the profits and gains of the two units after deducting the amount availed of as deduction under Section 80HHC of the Act was claimed. The basis of the above conclusion was the reliance upon the decision of the Supreme Court in Escorts Ltd. v/s Union of India, 199 ITR 43, which dealt with the double claim for deduction under Section 32 and Section 35 of the Act. Thus, the Assessing Officer on the above basis by his order dated 31st August, 1999 restricted the claim to Rs.87.96 lakhs as against Rs.104.88 lakhs claimed under Section 80IA of the Act for Assessment Year 1997-98. 1990. Accordingly, the Appeal was dismissed. “We have thoroughly scrutinised the appellate order of the CIT(A) and we concur with his findings and therefore, there being no merit in this common ground of the assessee, we reject the same”. (5) “gross total income” means the total income computed in accordance with the provisions of this Act, before making any deduction under this Chapter. (such business being hereinafter referred to as the eligible business)], to which this section applies, there shall, in accordance with and subject to the provisions of this section, be allowed, in computing the total income of the assessee, a deduction from such profits and gains of an amount equal to the percentage specified in sub-section (5) and for such number of assessment years as it specified in sub-section (6). (2) to (8) …………. (a) It is an undisputed position before us that prior to 1st April, 1999 when Section 80IA of the Act was amended by Finance (No.2) Act, 1998 introducing Sub-Section 9A to Section 80IA of the Act, there was no provision either in Section 80IA or in Section 80HHC of the Act indicating the priority under which the deduction is to be taken and / or restricting the deduction only to the extent it has not been availed of under any other section of Chapter VIA Part C of the Act. In fact, Section 80IA (9A) of the Act after its introductions obliges an assessee to first avail of the 30% exemption available under Section 80IA of the Act and only thereafter the balance i.e. after excluding the quantum of deduction which is allowed to be deducted that deduction under Section 80HHC of the Act can be availed in respect of its profits and gains derived from exports. (b) In the above view, it is submitted on behalf of the appellant assessee that for the period prior to Assessment Year 1999-00, there was no restrictions either in terms of quantum of deduction or even the priority in taking deductions under the various sections specified in Chapter VI A Part ‘C’ of the Act. Thus, while construing a fiscal legislation it is submitted nothing can be read into it. It is also pointed out that it is an undisputed position that the total exemption claimed under both the sections i.e. 80IA and 80HHC of the Act are less than the appellant’s gross total income as defined under Section 80B(5) of the Act. Reliance is also placed upon the decision of the Rajasthan High Court in Commissioner of Income Tax Vs. Rochiram & Sons, 271 ITR 444 and of the Madras High Court in General Optics (Asia) Ltd. Vs. DCIT 315 ITR 400 where on identical fact situation for the period prior to Assessment Year 1999-2000, deduction as claimed by the appellant was allowed. This on the basis of the law as then existing. Therefore, it is submitted that the deduction as claimed under Sections 80HHC and 80IA of the Act, be allowed. (c) On the other hand, Mr. Suresh Kumar placed reliance upon the orders passed by the Assessing Officer and CIT(A) which has been upheld by the impugned order of the Tribunal. In the aforesaid orders, the authorities relied upon the decision of the Apex Court in Escorts Ltd. (supra) wherein it has been observed that “We see fundamental though unwritten axiom that no legislature could have at all intended a double deduction in respect of the same business outgoing; and if it is intended, it will be clearly expressed”. In the light of the above observation, it is submitted that as the appellant had already claimed / availed deduction under Section 80HHC of the Act, the deduction under Section 80IA was restricted only to the balance amount of profits and gains available after deduction of the benefit claimed under Section 80HHC of the Act. This view of the Revenue was in accord with the Apex Court decision in Escorts Ltd. (supra) that no double deduction is permitted in the absence of the legislature specifically providing for the same. (d) We have considered the rival submissions. The decision of the Supreme Court in Escorts Ltd. (supra) has to be understood in the context of the facts arising before it for consideration. The assessee therein was claiming deduction of depreciation under Section 32 of the Act and also deduction under Section 35 of the Act which provided for 20% notional deduction in respect of the capital expenditure to be allowed for a period of 5 years incurred on scientific research innovation. In 1980, there was an amendment by Finance (No.2) Act, 1980 with retrospective effect from 1st April, 1961 in Section 35 of the Act to the effect that where deduction has been claimed under Section 35 of the Act, no deduction shall be allowed under Section 32 of the Act for the same or in other previous year in respect of that asset. This amendment was effected on the basis of the Direct Tax Law Committee’s (popularly known as Choksi Committee) report. The above decision in Escorts Ltd. (supra) makes a reference to the above report and notes that the committee had observed that it could not have been the intention of the Legislature to allow double deduction i.e. 200% on the same asset in the context of Section 32 and 35 of the Act. Moreover, the committee further records that “If a contrary view is possible on construction of Section 35 of the Act, then the law should be clarified to the extent that no depreciation under Section 32 of the Act shall be allowable in respect of capital expenditure for scientific research qualifying for deduction under Section 35”. The decision of the Apex Court was rendered in the context of the 1980 amendment being retrospective or not. It is to be noted that the amendment itself made by the Finance No.2 Act 1980 provided that it shall be retrospective w.e.f. 1st April,1961. The retrospective amendment was held to be valid by the Apex Court as it was in the facts before it merely clarificatory in nature. In our view, the decision of the Apex Court in Escorts Ltd. (supra) would not apply to the facts of the present case, as that case dealt with a double deduction being claimed on the same expenditure i.e. 200% deduction on expenditure. (e) In the present case, we are not dealing with the claim of deduction on expenditure being allowed but deduction on profits and gains of business under two sections -without any of the sections excluding the deduction obtained under the other section. The deductions provided under Chapter VIA Part C of the Act are in the nature of incentives to boost exports (under Section 80HHC of the Act) and to establish new units (under Section 80IA of the Act). Therefore, the incentive deduction have to be given a liberal interpretation. This is particularly so in the absence of the relevant sections itself restricting deduction to the extent of deduction under some other section of Chapter VIA Part C of the Act. In fact, as pointed out by Mr. Sriram, whenever the Parliament decided to restrict the deduction under more than one section of Chapter VI -Part C of the Act, it so provided for it. Attention was drawn to Section 80HH(9A) of the Act prohibiting deduction thereunder to the extent deduction is claimed under Section 80HHA of the Act. There is no such prohibition prior to the 1999 amendment in Section 80IA of the Act. The Revenue is seeking to add words to Section 80IA of the Act prior to 1998 amendment by restricting the deduction thereunder. It is a settled position that while interpreting a fiscal statute, it is not open to disregard the literal meaning thereof, in the absence of any ambiguity in the provision. It is not open to the Courts to add words in a fiscal legislation. In Sales Tax Commissioner Vs. Modi sugar Mills, (1961) AIR 1047 (S.C.), the Court has held “In interpreting taxing statute equitable consideration are entirely out of place. Nor can taxing statue be interpreted on any presumptions or assumptions. The Court must look squarely at the words of the statute and interpret them. It must interpret a taxing statute in the light of what is clearly expressed; it cant imply anything which is not expressed; it cannot import provisions in the statute so as to supply any assumed deficiency”. (g) In the above view, for the period prior to Assessment Year 1999-2000, the appellant would be entitled to claim deduction under Section 80IA of the Act on its entire profits without excluding the deduction available under other heads of Chapter VI A Part ‘C’ of the Act. Our above view is fortified by the fact that an identical fact situation, the Rajasthan and Madras High Court in Rochiram & Sons (supra) and General Optics (Asia) Ltd. (supra) have held that prior to Assessment Year 1999-2000, the benefit of Section 80IA of the Act is available without exclusion of the deduction claimed under Section 80HHC of the Act. Even on being specifically asked, the Revenue was not able to inform us whether the above two decisions have been appealed to the Apex Court and the result thereof, if any. (h) In the above view, question no. (1) is answered in the negative i.e. in favour of the appellant assessee and against the respondent Revenue. (a) In the present case, it is an undisputed fact that Sub-Section 9A of Section 80IA of the Act was introduced by Finance (No.2) Act, 1998 w.e.f. 1st April, 1999. Mr. Sriram, in support submits that the above amendment being prospective w.e.f. 1st April, 1999 cannot be applied to earlier periods as in this case. On the other hand, Mr. Suresh Kumar for the Revenue supports the impugned order of the Tribunal. (b) We note that the amendment by introduction of Sub-section 9A to Section 80IA of the Act is explicitly prospective w.e.f. 1st April, 1999. It is neither declaratory or clarificatory nor is it in the nature of explanation. Thus, strict reading of fiscal statute would prevent the amendment being read as retrospective in the absence of the statute providing for the same. (c) In any case, in the present facts, it is to be noted that when the Finance No.2 Bill 1998 (Bill No.15 of 1998) was introduced in the Parliament by the Finance Minister, the bill provided that Sub-section 9A of Section 80IA of the Act would be introduced with retrospective effect from 1st April, 1990. However, when the Parliament passed the bill making into Act of Parliament, it was made prospective i.e. effective only from 1st April, 1999. “any expenditure laid out or expended wholly necessarily and exclusively for the purposes of business or profession shall be allowed ”. Thus, for the purposes of deduction under Section 37 of the Act all that was required was that the expenditure must be laid out wholly and exclusively for the purposes of business or profession. The requirement of “necessarily” for the purposes of business was done away with and an attempt on the part of the Revenue to read the word “necessarily” into the Act of Parliament on the basis of it being the part of the bill, was not accepted. Therefore, Section 37 of the Income Tax Act, 1961 was read by the Apex Court in the absence of the word “necessarily” as it was not found in the Act. Similarly, in the present facts, the mere fact that the bill was introduced with the intention of making it retrospective from 1st April, 1990 will not enable the Revenue to successfully contend that because the bill was introduced with retrospective effect, for it must be read to be retrospective in effect, notwithstanding the fact that the Act of Parliament makes it prospective. 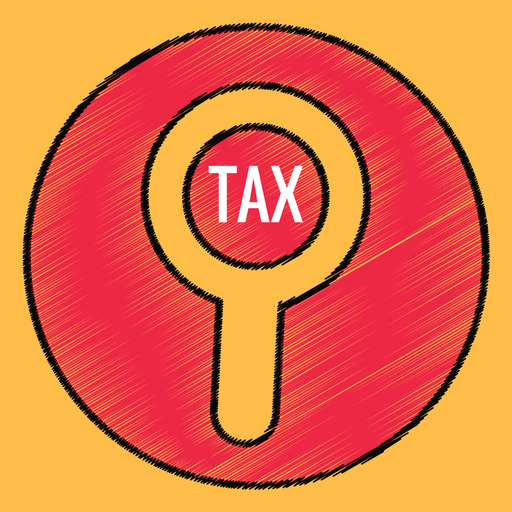 (e) Further, attention was also drawn to the Central Board of Direct Taxes (CBDT) Circular dated 23rd December, 1998 explaining the amendments made by Finance (No.2) Act, 1998. This was the Act which introduced sub-section 9A into Section 80IA of the Act. This CBDT Circular inter alia explained that the amendment to Section 80IA of the Act and specifically provides it will take effect from 1st April, 1999 and accordingly, apply in relation to Assessment Year 1999-2000 and subsequent assessment years. This CBDT circular is binding upon the Department as held by the Supreme Court in K.P. Varghese Vs. Income Tax Officer, 131 ITR 597. In the above case, the Supreme Court had occasion to deal with the efficacy of the circular which has been issued while explaining the scope of the provisions of the Finance Act, 1964. The Apex Court observed that such circulars issued by the CBDT are binding upon the Revenue and the provisions would have to be read in the light of the Executive’s understanding of the same. Further, the Apex Court in Union of India Vs. Aazadi Bachav Andolan, 263 ITR 706 has observed that a circular issued by the CBDT in exercise of its powers under Section 119 of the Act are legally binding upon the Revenue inter alia following its earlier decision in K.P. Varghese (supra). (f) Thus, the above circular issued by the CBDT has while explaining the provisions of the Finance No.2 Act 1998 stated in terms that the amendment by insertion of Sub-section 9A of Section 80IA of the Act would not have retrospective effect. This is binding upon the Revenue. It cannot now urge that it is retrospective in operation. (h) In the above view, the substantial question of law at question no.2 above is answered in the negative i.e. in favour of the appellant assessee and against the respondent Revenue. 11. Thus, the substantial questions of law at Nos. (1) and (2) are both answered in the negative i.e. in favour of the appellant assessee and against the respondent Revenue. 12. The appeal is allowed in the above terms. This entry was posted in Section 80-IA, Section 80HHC and tagged 407 ITR, Bombay High Court, deduction u/s 80-IA, In favour of Assessee.